What is the purpose of the Bubblemat? 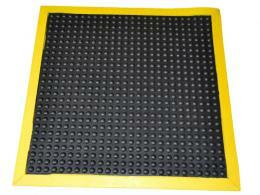 Our Bubblemat makes standing for long periods of time far more comfortable and less stressful on your legs and body. With its 100% rubber and individual bubbles filled with a cushion of air, it allows for better circulation that helps relieve fatigue while working, standing and walking. This is one of those products that make perfect sense in areas where there is a lot of foot traffic, a need to remain on your feet for long stretches and require a good amount of lifting. That means that the Bubblemat is a great addition for places like warehouses and restaurant kitchens, to name a few. In these areas, there is a lot of standing, lifting and being on your feet. 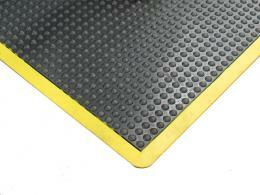 With our anti-fatigue bubbles, this mat makes those long periods on foot much more bearable. Our Bubblemat is great for pretty much anyone who has to be on his or her feet for any length of time. Chefs and kitchen workers love these, because standing on them while stirring sauces, chopping ingredients or washing dishes is like being on a cushion of air, alleviating strain in both the lower limbs and the back. 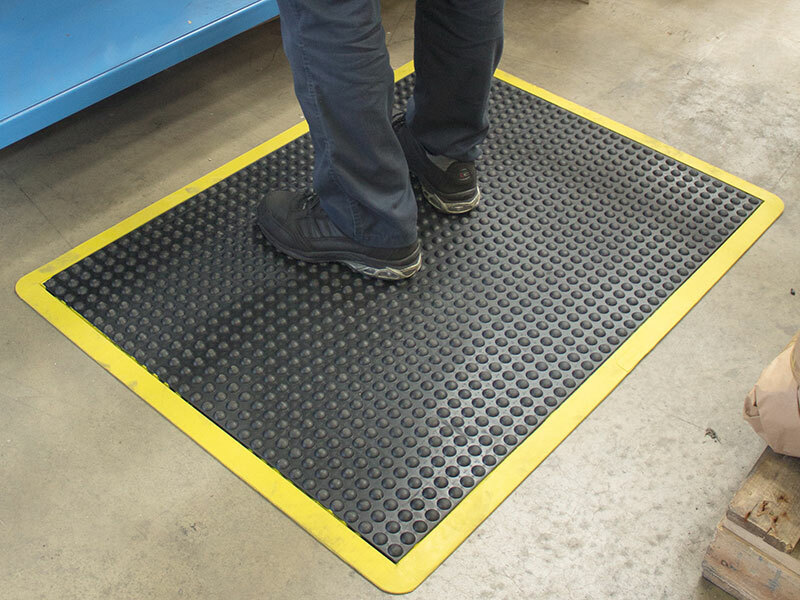 Warehouse workers, who have to be on their feet and lift all day, will find these Bubblemats very easy on their extremities, taking the stress and strain out of their day-to-day. Even the home cook and weekend handyman will find these come in handy when working on projects that demand they be on their toes. With a thickness of 14mm and 100% natural rubber, your comfort is our main priority with these Bubblemats. 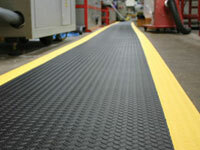 These mats come two types: as an individual black or black with yellow border pad or as interlocking sections that can be connected to each other to create one long run. Each of these options has two different sizes for your convenience. Our pads are not only comfortable, but are made locally in Britain. We offer a price match guarantee, which means if you find another like product anywhere else for a better price, we promise we will meet it. Your satisfaction is our priority and that is why we have a 1-year warranty available on all parts and labour, guaranteeing free delivery within 3-5 days from ordering. We understand that when you’re looking for comfort, you want it right away and we are happy to make these invaluable Bubblemats available to you.